2003 finally brings forth a real treat with the release of “Second Wind”, my long awaited solo album. The album is in fact my fourth album (the previous two being collaborative offerings) but is actually only the second solo album and after four years it certainly has taken some time, but I believe it is definitely worth the wait. To say this album is a ‘career’ album as some in the industry are already saying, is a fact even more remarkable given that it comes so closely on the heels of our critically acclaimed bluegrass album “Blue Mountain Rain”, a highly successful foray into bluegrass music (with Martin Louis & Sydney bluegrass band Acoustic Shock) which achieved 3 chart hits, 9 Award nominations and an award win for “Best Independent Release” in the National Section of 2003 Victorian Country Music Awards. Second Wind, however, is a return to a Country music format and most surprisingly it even edges into some mainstream country with tracks such as Rodney Crowells This Man I Love and the Kim Richey/Al Anderson penned Heart Of A Heartache but there is still plenty of traditional country there also to keep my long time supporters happy. There are 14 tracks encompassing a variety of styles and a good balance of tempos from the very traditional, almost bush ballad sound of The Outbacks Been Getting the Rain (penned by Pat Drummond) to the strong contemporary feel of This Man I Love; from the gentle acoustic, almost blue-grassy feel of the title track Second Wind to the almost retro country swing of Ill Just Pretend, a song that youd swear came from the long lost era of Patsy Cline and such singers with that famous country cry in their voices. Once again the album contains a healthy share of Australian penned songs including a choice few from my own hand – co-writes with previous collaborator Heather Field and also with Mark Selby, Ashley Gorley and Keith Anderson. Produced by Herm Kovac, the album has a beautifully warm and polished sound which compliments but does not overpower the gentle vulnerability of the vocals and an extra richness of flavour has been given by adding vocal collaborations with well known Australian male vocalists, Bill Chambers and Grant Richardson, with an equally pleasing result. Kovacs arrangements along with Australias top musicians and a very individual approach to even those tracks we may have heard from other artists, make this album an absolute treat. This album is special and shows yet another side of me, please take a minute to listen to some of the song samples,… you won’t be disappointed!,…. and of course don’t forget to email me and tell me what you think!. Mixed, Produced and Engineered by Herm Kovac. All tracks except “Angel” & “The Outback’s Been Getting the Rain” Recorded at Ramrod Studio, Sydney. These two tracks were recorded at Rancom Street Studio. Mastered by Barry Henninger at Soundview Studios, Clarence. Musicians: Stuart French, Mark Punch, Tom Graso, Ian Lees, Clare O’Meara, Kere Buchanan, Naomi Coggan, Michel Rose, Rod McCormack, Glenn Wilson, Owen Reynolds, Martin Louis, Pat Drummond, Mick Albeck, Steph Miller and Bill Chambers. Duet and Backing Vocals provided by Bill Chambers, Grant Richardson, Lyn Bowtell, James Gillard and Mark Punch. 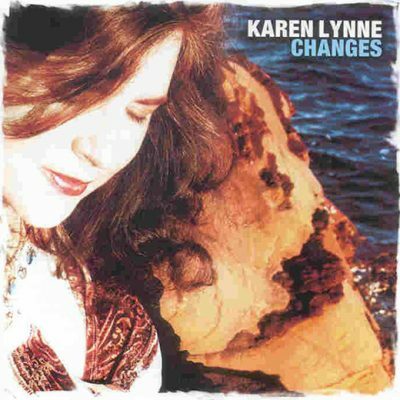 This could be one of the surprise albums of the next twelve months, just like Karen’s effort earlier Blue Mountain Rain – which scored rave reviews and a couple of major chart successes on radio thus far. 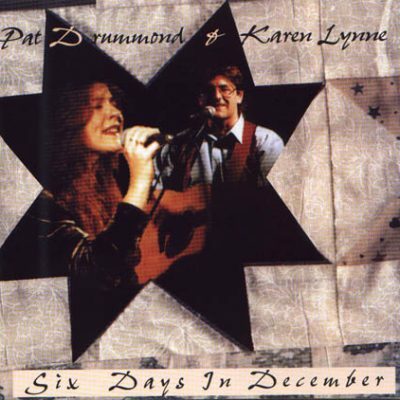 Karen’s previous albums, both solo and more recently with Pat Drummond, have opened a lot of ears to her crystal pure vocals – often with country-into-folk overtones – but this new release takes Karen into mainstream country, and it’s a delight. 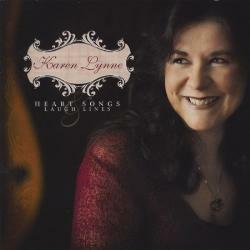 Lashings of pedal steel and fiddle, superb production by Herm Kovac, and an enviable cast of pickers including Rod McCormack, Tom Grasso, Michel Rose, Stuart French, Mick Albeck, Ian Lees and Mark Punch (just to name a few) ensure that the musical quality is top shelf, but the real star is Karen. From the opening punch of the first song This Man I Love, it’s evident that something special is happening here. There are the pure ballads like When She Smiled at him, folk strains like the The Outback’s Been Getting the Rain, and a wonderful traditional duet with Grant Richardson. And her co-write (with Heather field and Ashley Gorley) I Found You is simply great. Fourteen tracks of terrific listening! Australian born Kraen Lynne has a genuine feel for Country Music and has been a part of the scene Down Under for a number of years. 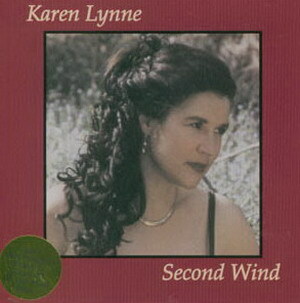 Second Wind is her fourth album and amongst her previous releases is also an excellent bluegrass album. 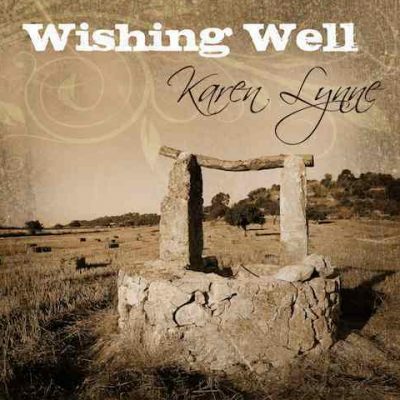 This time around however she treats us to a straight country style album with the only bluegrassy track being the title song, originally written and recorded by one of my favourite bluegrass divas, Claire lynch. 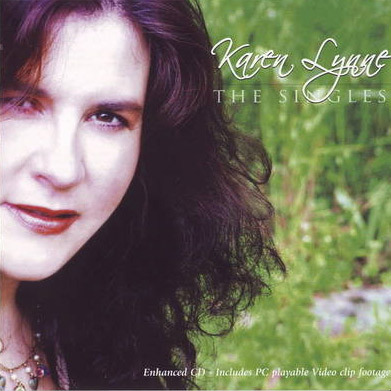 Karen has co-written three of the songs here, the melodic I Found You, Try Telling my Heart and the closing emphatic You Just Don’t Get it (part written by hit Nashville songwriter guitarist Mark Selby). All three hint that, apart from her vocal performance, she is a promising writer. The remainder of the material has been selected from well known writers like Rodney Crowell, Kostas, Curly Putman and Carolyn Dawn Johnson. The only track which is obviously Australian in theme is Pat Drummond’s The Outback’s been getting the Rain. Grant Richardson duets with Karen on the Curly Putman, Don Cook & Keith Whitely Composition, Hopelessly Yours, while the stalwart of the Aussie scene Bill Chambers helps out vocally on the sentimental When She Smiled at Him – and can also be heard elsewhere on guitar and dobro. Also on hand are top musicians such as fiddler Mick Albeck and guitarist Rod McCormack. 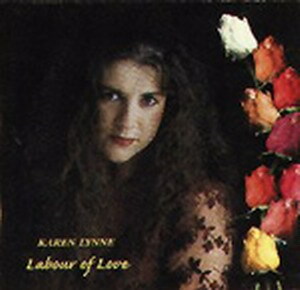 Karen paid her first visit to the UK a couple of years ago when she played a few selected dates while on a working holiday; she returned quite recently to promote this new album, impressing audiences. More confident now with her reception, she is hoping to return in the not too distant future with her band. Should it happen, I recommend you catch her show. She is a talented young lady with a love and understanding of the music and is well worth your support.